Linnie Ellen Baribalt Miller Powell passed into our Lord’s hands on Friday, November 23, 2018. Service: 11 a.m. Tuesday, November 27, 2018, at Cornerstone Community Church, 2233 Highway 199, Springtown. Visitation: 5 to 7 p.m. Monday, Biggers Funeral Home, Lake Worth. Linnie’s story began on December 18, 1924, in Schenectady, New York, in the loving warmth of her father and mother, Warren and Linnie Ellen Baribalt. In her early years of life, Linnie became known for her vivacious spirit and sense of adventure. Her love for travel lured her away from the city life of New York to Florida, where she met her husband, Forest Miller. Forest and Linnie later settled in Reno, Texas, where they brought their four cherished children into the world. Throughout her 93 years of life, Linnie remained young at heart. She loved handwritten cards, her orchids, her pearls, morning serenades and western films. While she considered most every moment in life a gift, it was her family she treasured the most. In the wake of her passing, her family will deeply miss their Mother and Grammie, for she was the love that lit every room. 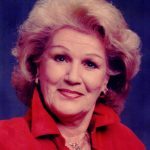 Her family would like to thank the staff and residents of Brookdale Retirement Community of Fort Worth where Linnie called home during the final years of her life. At Brookdale, Linnie enjoyed each day getting to chat with the staff and her neighbors, bringing joy and laughter to their hearts. Survivors: She is survived by her four children, Linnie Ellen Keen, Foresteen Corey and spouse, Jack, Warren Miller and spouse, Pam, and Weldon Miller and spouse, Ceanne; 12 grandchildren; 39 great-grandchildren; 11 great-great-grandchildren; sister, June Letaw. Thank goodness that mother had a large family and many guardian angels. It took all of us to keep up with mother. She was a go-getter for fun, Family and travel. Thank goodness that mother had a large family and a large group of guardian angels. It took all of us to keep up with mother. She was a go-getter for fun family and travel. She was the nicest and sweetest resident I ever had the privilege to be serving. Sorry to the family for your loss it was a big one. She will be truly missed. The life of the party was Aunt Linnie that's for sure! That beautiful smile and crazy fun personality is who she was. I wouldn't take a million for the memories. She will be forever in my heart!